To bear and forbear forever, amen. 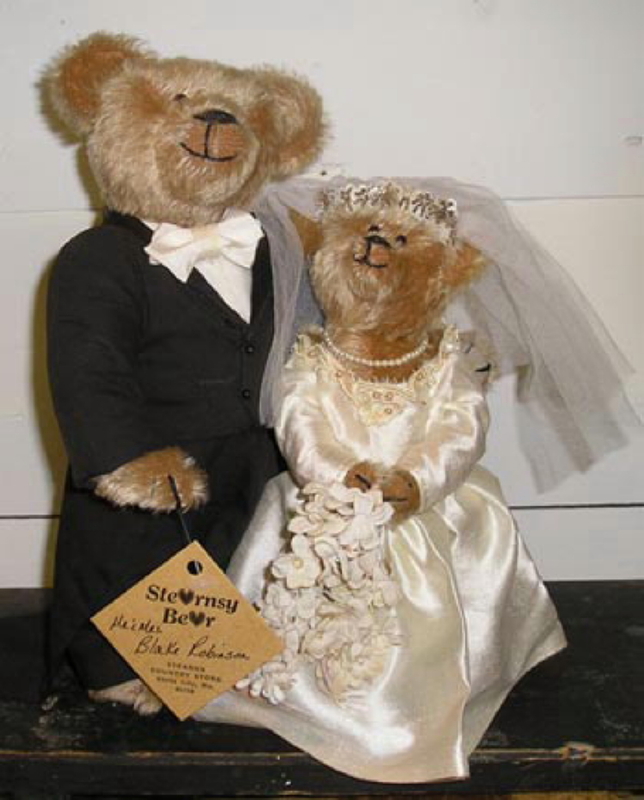 We make a wide variety of Stearnsy Wedding Teddy Bears. We can do this on a custom basis from your own pieces We also make wedding sets or single pieces for wedding also anniversary gifts. 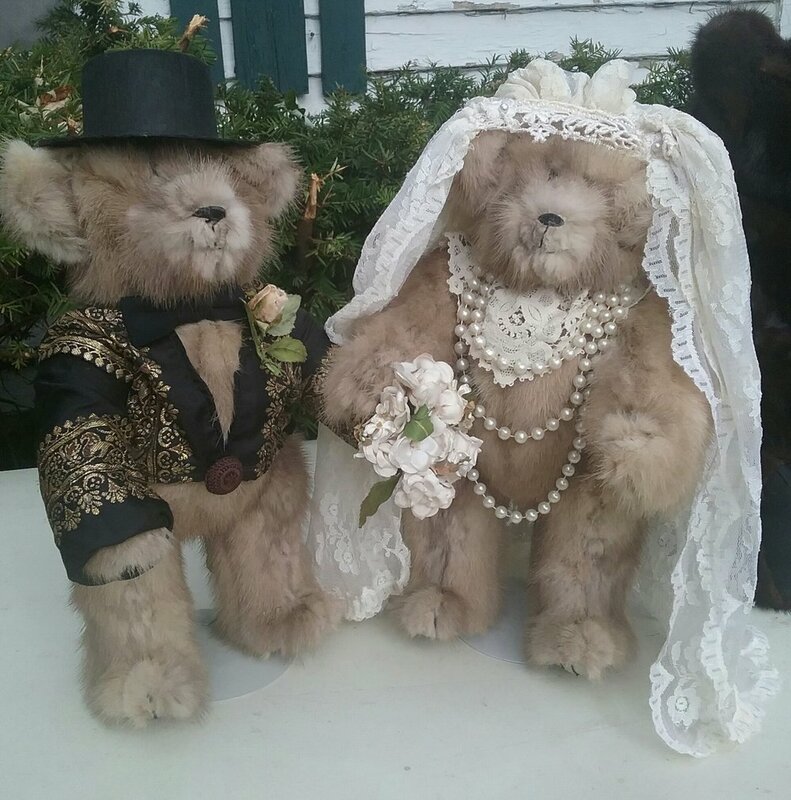 Tiny little Stearnsy Teddy Bear Wedding Cake toppers as well. As you look at examples of our past work, perhaps it gives you an idea of something we could do for you or your family. 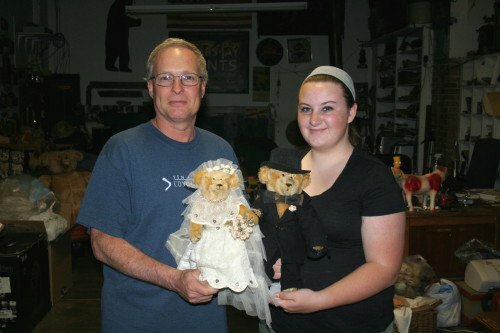 Each personalized teddy bear we make is a one of kind project and it's your input and ideas that make it work. For information and price quotes, call us at 417-285-3201, shop. call or text us at 417-393-9179, cell, or fill out our form below the pictures. To bear and forbear forever. 2018. For Sue, from her wedding pieces. 2017. 4 pictures. 5 small brides in wedding dressess Vicky made from the original wedding gown. 2015. 5 pictures.